In Race, Ethnicity, and Sexuality, Joane Nagel looks at how these characteristics are used to create new national identities and frame colonial expansion. In particular, White female sexuality, presented as modest and appropriate, was often contrasted with the sexuality of colonized women, who were often depicted as promiscuous or immodest. This 1860s advertisement for Peter Lorillard Snuff & Tobacco illustrates these differences. 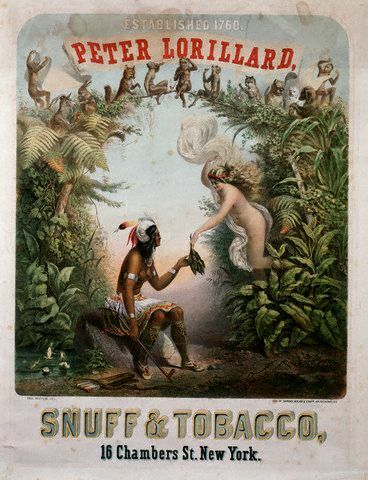 According to Toby and Will Musgrave, writing in An Empire of Plants, the ad drew on a purported Huron legend of a beautiful white spirit bringing them tobacco. There are a few interesting things going on here. We have the association of femininity with a benign nature: the women are surrounded by various animals (monkeys, a fox and a rabbit, among others) who appear to pose no threat to the women or to one another. The background is lush and productive. And as often occurred (particularly as we entered the Victorian Era), there was a willingness to put non-White women’s bodies more obviously on display than the bodies of White women. The White woman above is actually less clothed than the American Indian woman, yet her arm and the white cloth are strategically placed to hide her breasts and crotch. On the other hand, the Native American woman’s breasts are fully displayed. So, the ad provides a nice illustration of the personification of nations with women’s bodies, essentialized as close to nature, but arranged hierarchically according to race and perceived purity. 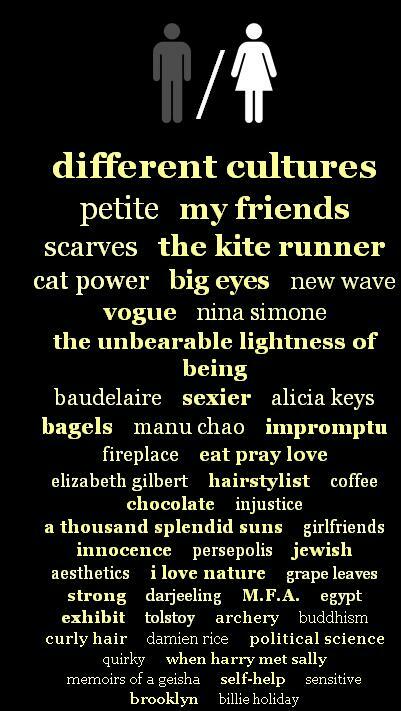 Emma M.H., Rebecca A., Natalee B., Josh L., Anna M., Jordan G., and an anonymous reader all sent in a link to a new analysis released by OkTrends, this time of members’ profile essays and the likes/interests/hobbies the essays mention, broken down by race/ethnicity and gender. 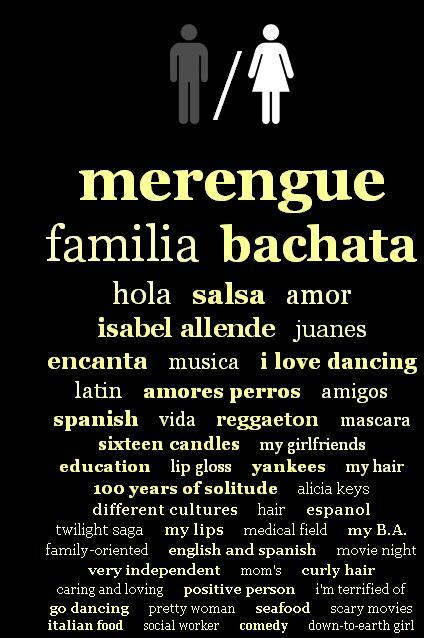 They list items that were statistically unevenly distributed by race/ethnicity, showing up much more in some groups’ profiles than others’; these aren’t necessarily the most common items listed by each group. Christian Rudder, the author of the OkTrends post, points out an interesting trend: rural identifying/mythologizing. White men mention “I’m a country boy,” while for White women, being a “country girl” features prominently, meaning both groups are more likely to use this term than other racial/ethnic groups. The men also mention liking hunting/fishing, while White women include horses/horseback riding, bonfires, and the “midwest,” as well as country music/musicians. Most OkCupid users, according to Rudder, are in large metro areas. Of course, you can live in a city and still go riding or fishing, or these can be things you did before you moved to the city that you still really wish you could do and so remain an important part of your identity; and given current demographics, it’s more likely that a former rural resident would be White than non-White, thus showing up more in Whites’ profiles. But I also suspect that references to the “midwest,” or things associated with romanticized rural life (you know, running around in a beautiful wheat field during a thunderstorm and stuff) are a code for a certain type of masculinity and femininity. 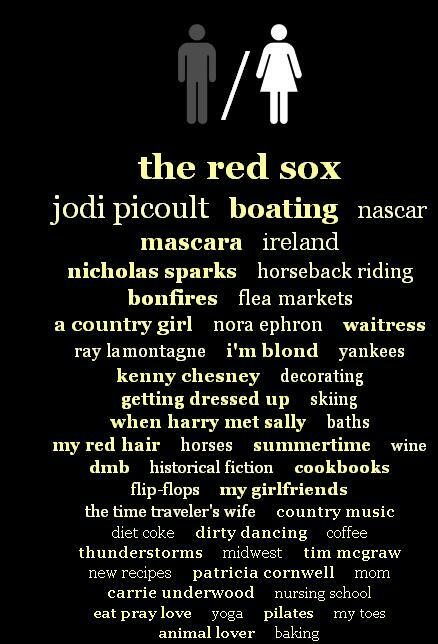 Among Whites, hunting/fishing indicates you’re a particular type of “guy’s guy,” while being “a country girl” who likes horses and thunderstorms is, I think, a stand-in for implying you’re down-to-earth, nice, not superficial. Being “country” is thus, a lot of the time, shorthand for being authentic. 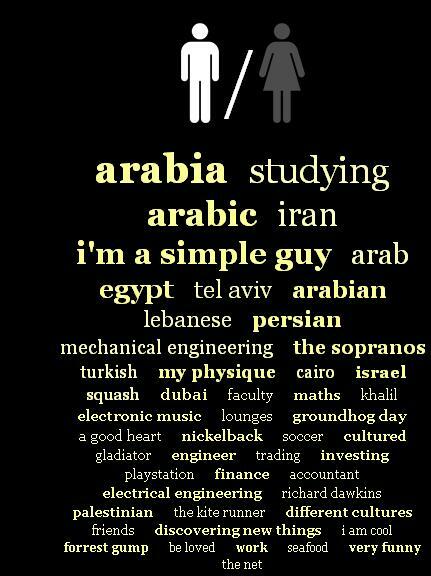 We see more self-description than in White men’s profiles — “I am cool,” “tall, dark, and handsome,” “god-fearing,” “calm,” “laid-back guy.” White men (and to a lesser extent women) seem to focus on what they like, not really what they are like, with only “I’m a country boy” and “I can fix anything” showing up in the analysis. 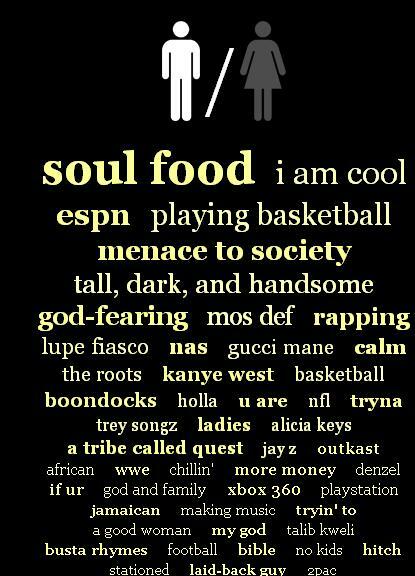 Like Black men, they more frequently than White men mention personality characteristics — “I’m a funny guy,” “respectful,” “I’m a simple guy,” “outgoing and funny,” etc. 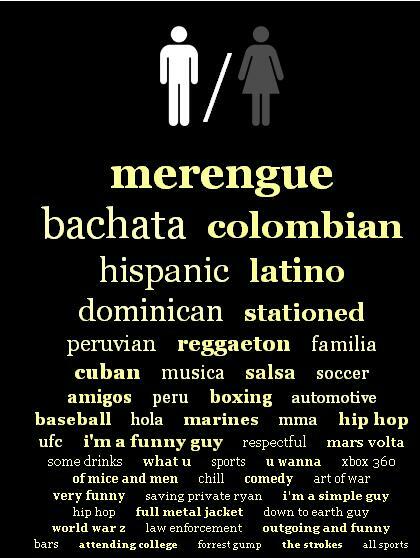 I see that above with Latino men, too — references to being Peruvian, Colombian, Dominican, etc. If I had to take a stab at explaining this, I’d guess it was related to differences in how racial/ethnic categories have been applied to different groups. In the U.S. over time, White ethnic categories (say, being Dutch-American vs. Polish-American) have largely faded into the background, all subsumed under the powerful racial label “White.” Distinctions within that grouping have become largely optional, a neat thing to mention, perhaps, but not very socially meaningful. 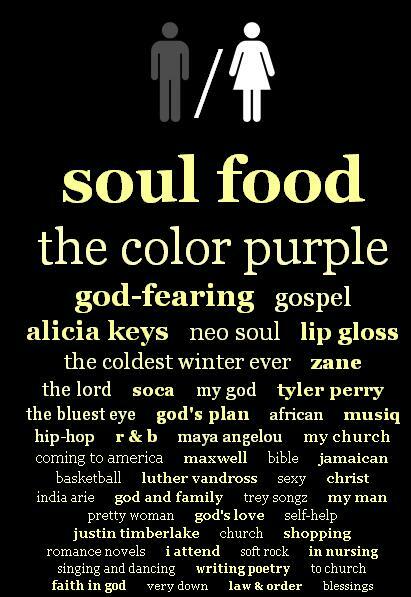 African Americans have often found themselves in the same situation, but due to much more negative forces. The generally shared experience of slavery, racism, and discrimination, as well as negative stereotypes of anyone perceived as Black, mostly erased ethnic identifications among African Americans. Being Black became a master status, such a socially important racial categorization that even those who wanted to be recognized as from a specific location (South Africa, Jamaica, etc.) often found themselves unable to get others to recognize their ethnic distinction. Nothing. Not one specific identifier for either group stood out. I don’t know what to make of that, and would love to hear your suggestions. There are also specific breakdowns for Asian Indians and Pacific Islanders on the OkTrends, if you’re interested. 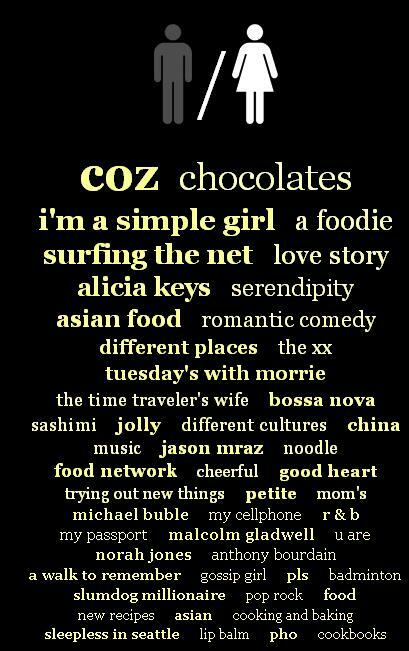 Of course, as Anna pointed out when she sent in the link, this data isn’t necessarily about people’s actual likes/interests, it’s about what they present as their likes/interests in the dating marketplace. 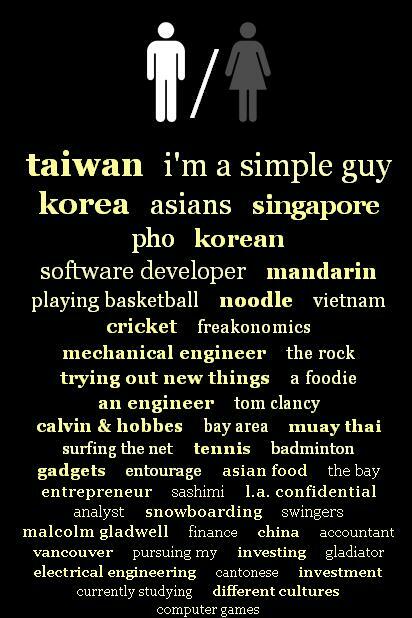 On a dating website, you’re trying to present a profile of yourself…but one tailored to be attractive to others. She wonders to what degree social stereotypes of your racial group, as well as the group you’re interested in dating (if you have any preference) affects how you would describe your interests. That is, it’s possible that in some cases people highlight interests or hobbies that seem to fit social expectations of what they’ll like doing…or what they think the individuals they want to date will want to do, or want their date to want to do. 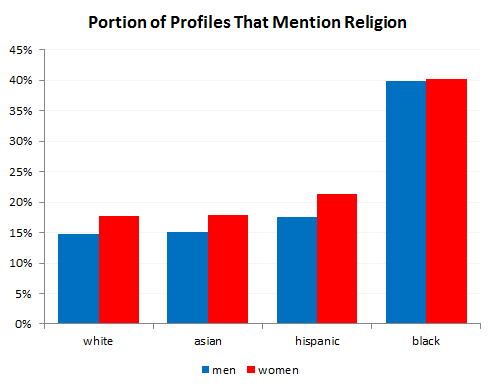 To interpret these results, as OkTrends does, as straightforward evidence of differences in preferences by race/ethnicity, ignores the important fact that these are interests presented as part of an intentional performance for strangers, and may or may not reflect what we actually spend time doing, learning about, or paying attention to in our daily lives. 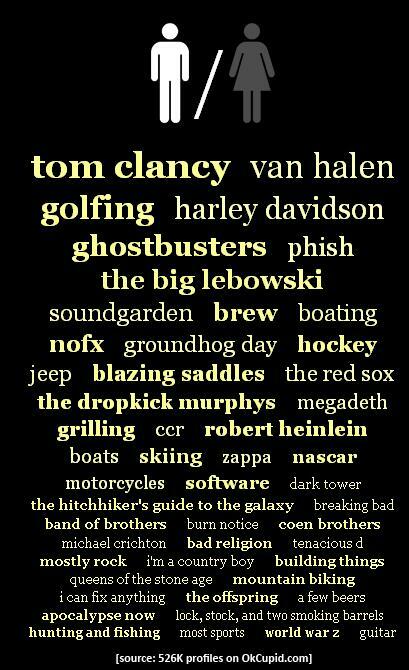 Originally posted in September, 2010. A set of maps from Eric Fischer illustrate racial/ethnic populations in a number of U.S. cities, based on Census 2000 data. They’re great for showing levels of segregation, as well as comparing racial/ethnic diversity and population density in different regions. On the maps, red = White/Caucasian, blue = African American, green = Asian, orange = Hispanic, and gray = Other. Each dot represents 25 people. At Fischer’s website, if you hover over the images you can identify individual neighborhoods/regions. Fischer has up 102 different city maps, so there’s lots to play with and compare. 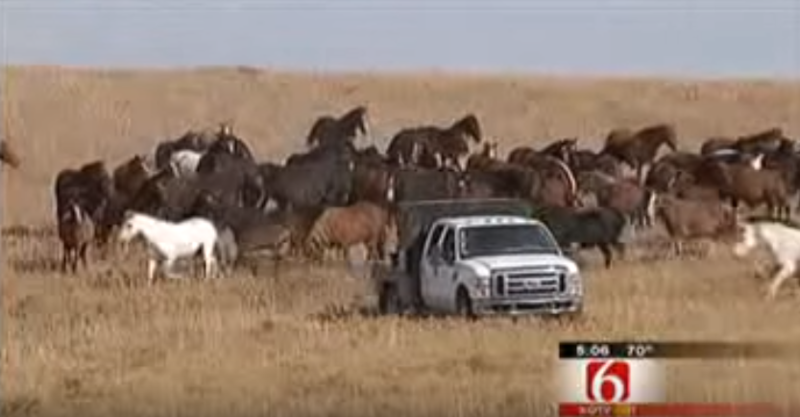 What to Do with All the Wild Horses? Rumors are circulating that the Bureau of Land Management (BLM) has plans to euthanize 44,000 wild horses. The rumor is partly true. An advisory board has authorized the BLM to do so; they have yet to make a decision as to whether they will. Even the possibility of such a widespread cull, though, has understandably sparked outrage. Yet the reality of the American mustang is not as simple as the love and admiration for these animals suggests. Flickr creative commons James Marvin Phelps. It’s a complicated story involving conflicts surrounding federal land management, public attitudes toward mustangs, and unintended consequences of public policies. 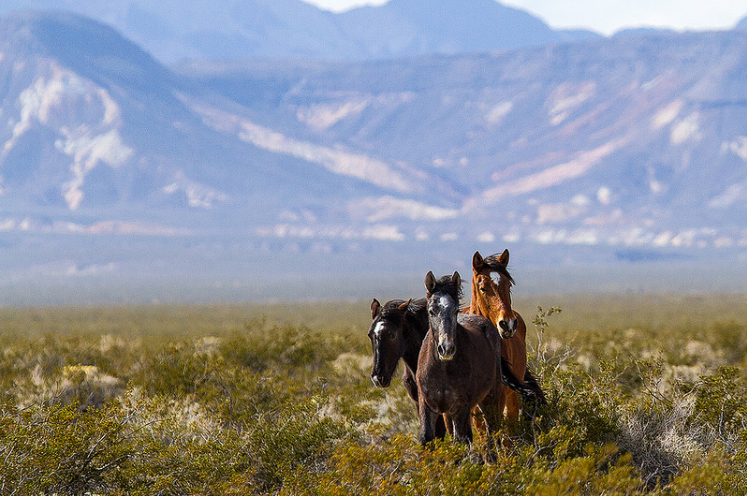 Wild horses fall under the purview of the BLM because most live on public range (particularly in Nevada, California, and Idaho, as well as Washington, Wyoming, and other Western states). Mustangs have no natural predators in the West; mountain lions, bears, and wolves kill some horses each year, but their numbers simply aren’t large enough to be a systematic form of population control for wild horse herds, especially given that horses aren’t necessarily their first choice for a meal. So wild horse herds can grow fairly rapidly. Currently the BLM estimates there are about 67,000 wild horses and burros on public land in the West, 40,000 more than the BLM thinks the land can reasonably sustain. Of course, managing wild horses is one small part of the BLM’s mission. The agency is tasked with balancing various uses of federal lands, including everything from resource extraction (such as mining and logging), recreational uses for the public, grazing range for cattle ranchers, wildlife habitat conservation, preservation of archaeological and historical sites, providing water for irrigation as well as residential use, and many, many more. And many of these uses conflict to some degree. Setting priorities among various potential uses of BLM land has, over time, become a very contentious process, as different groups battle, often through the courts, to have their preferred use of BLM land prioritized over others. The important point here is that managing wild horse numbers is part, but only a small part, of the BLM’s job. They decide on the carrying capacity of rangeland — that is, how many wild horses it can sustainably handle — by taking into account competing uses, like how many cattle will be allowed on the same land, its use as wildlife habitat, possible logging or mining activities, and so on. And much of the time the BLM concludes that, given their balance of intended uses, there are too many horses. So what does the BLM do when they’ve decided there are too many horses? For many years, the BLM simply allowed them to be killed; private citizens had a more or less free pass to kill them. There wasn’t a lot of oversight regarding how many could be killed or the treatment of the horses during the process. Starting in the late 1950s, the BLM began to get negative press, and a movement to protect wild horses emerged. It culminated in the Wild Free-Roaming Horses and Burros Act, passed in 1971. The law didn’t ban killing wild horses, but it provided some protection for them and required the BLM to ensure humane treatment, guarantee the presence of wild horses on public lands, and encourage other methods of disposing of excess horses. One such method is making such horses (and burros) available to the general public for adoption. The BLM holds periodic adoption events. However, currently the demand for these animals isn’t nearly large enough to absorb the supply. For instance, in 2010, 9,715 wild horses were removed from public lands, while 2,742 were adopted. So, there aren’t enough people to adopt them and killing them has become increasingly unpopular. Controlling herd populations through some form of birth control hasn’t been widely implemented and has led to lawsuits. What to do? The ranch in video is owned by the Drummond family, a name that might ring a bell if you’re familiar with the incredibly popular website The Pioneer Woman, by Ree Drummond. They are just one of several ranching families in north central Oklahoma that have received contracts to care for wild horses. In addition to the sheer cost involved, paying private citizens to hold wild horses brings a whole new set of controversies, as well as unintended consequences for the region. Federal payments for the wild horse and burro maintenance program are public information. A quick look at the federal contracts database shows that in just the first three financial quarters of 2009, for example, the Drummonds (a large, multi-generational ranching family) received over $1.6 million. Overall, two-thirds of the BLM budget for managing wild horses goes to paying for holding animals that have been removed from public lands, either in short-term situations before adoptions or in long-term contracts like the ones in Oklahoma. This is very lucrative. Because prices are guaranteed in advance, holding wild horses isn’t as risky as raising cattle. And, if a horse dies, the BLM just gives the rancher a new one. But this income-generating opportunity isn’t available to everyone; generally only the very largest landowners get a chance. From the BLM’s perspective, it’s more efficient to contract with one operation to take 2,000 horses than to contract with 20 separate people to take 100 each. So almost all small and mid-size operations are shut out of the contracts. This has led to an inflow of federal money to operations that were already quite prosperous by local standards. These landowners then have a significant advantage when it comes to trying to buy or lease pastures that become available in the area; other ranchers have almost no chance of competing with the price they can pay. The result is more concentration of land ownership as small and medium-sized ranchers, or those hoping to start up a ranch from scratch, are priced out of the market. In other words, the wild horse holding program contributes to the wealth of the 1%, while everyone else’s economic opportunities are harmed. This is why the BLM is considering a cull. Not because they love the idea of killing off mustangs, but because they’re caught between a dozen rocks and hard places, trying to figure out how to best manage a very complicated problem, with no resolution in sight. Revised and updated; originally posted in 2011. Cross-posted at Scientopia and expanded for Contexts. Gwen Sharp, PhD is a professor of sociology and the Associate Dean of liberal arts and sciences at Nevada State College. What we changed for this field trip was the before and after descriptions and small group sessions for each student to meet with two of three physicists rather than one large group session. We deliberately chose a typical white male, a young female and an African American physicist. 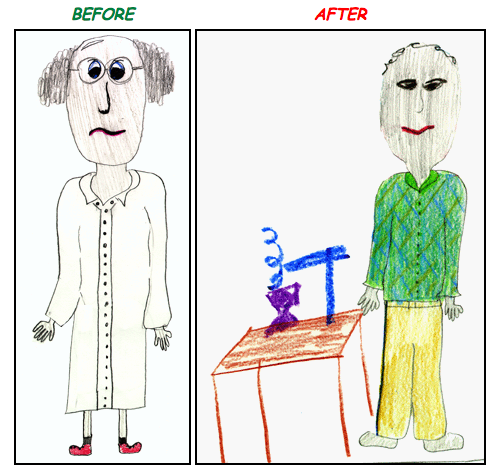 We let the students and physicist take their discussion where they wanted. 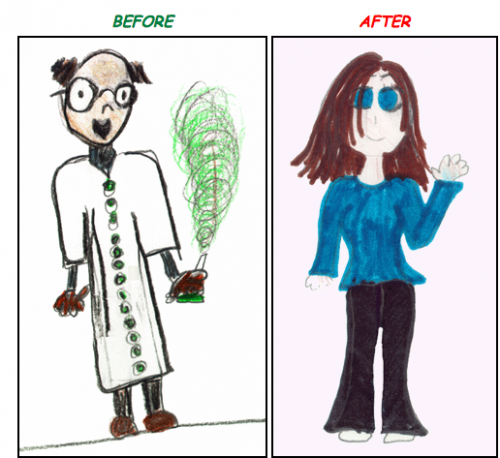 Among girls (14 in total), 36% portrayed a female scientist in the “before” drawing, and 57% portrayed a female scientist in the “after” drawing. 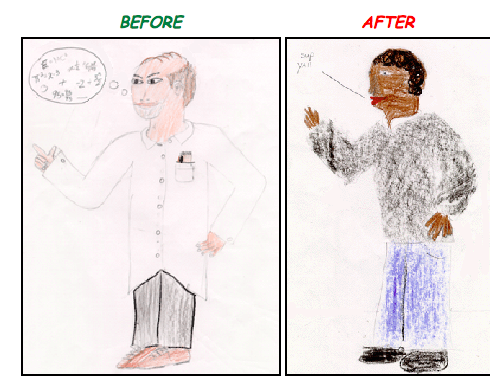 Among boys (17 in total), 100% portrayed a male scientist in the “before” drawing, and 100% portrayed a male scientist in the “after” drawing. I looked through all of them and only saw one instance (posted above) where the child changed the scientists to be clearly non-White. Of course this is a small sample, but the results seem to reproduce what other studies have found regarding the importance of role models and gender stereotyping, in particular, that girls are more likely to imagine themselves in careers when they see women doing them. For instance, the relative lack of female professors in male-dominated departments such as engineering may play a role in discouraging women from choosing to major in such fields (as well as other factors such as steering, concerns about family/work conflicts, etc.). Barstow is roughly mid-way between L.A. and Las Vegas, so locating it there might be a smart move to try to get some of the weekend traffic between the two cities. 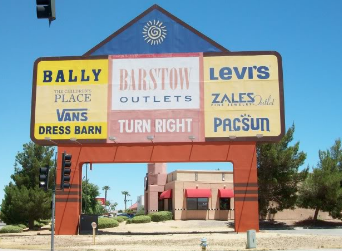 And there are some logical reasons you might want to locate outlets in places like Barstow: by putting them in outlying cities, you make sure they don’t overlap too much with the customer base for the main stores, potentially stealing customers who would otherwise pay full-price for new products rather than going to the outlet. You want the outlet to be complement the regular store, not compete with it. And aside from that, surely real estate is cheaper in Barstow than in either L.A. or Las Vegas, which would keep costs down for building or renting retail space. That’s part of the story. But there’s some interesting psychology going on, too, as Ellen Ruppel Shell explains in Cheap: The High Cost of Discount Culture. It turns out that being difficult to get to is, in fact, part of the appeal of outlet malls. The fact that they often require a drive of an hour or more signals to consumers that they must have really good deals. That’s the payoff for inconvenience — it’s harder and more time-consuming than going to your local mall, but in return you’re getting a great bargain. Right? Well… not really. 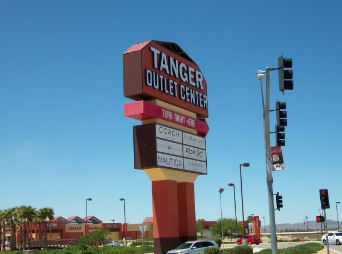 I remember driving two hours once to go to this outlet mall I had heard so much about — friends would go and come back with bags full of clothes, telling me about all the money they’d saved. I got there and was shocked by the prices; they didn’t strike me as particularly cheap at all. I ended up going home without buying anything, trying to figure out how I had missed the great sales racks. According to Shell, though, that’s pretty typical of outlet malls: they often don’t really provide great bargains. Instead, they provide the illusion of bargains, and a motivation for thinking you’re finding them. It turns out that the more trouble people go through to get to an outlet, the more they overestimate the amount of savings compared to prices at regular stores. The very fact that it was hard to get to convinces people that it must provide something fantastic; if you aren’t saving a lot of money by going there, why on earth would it be so far out of the way? And the more remote it is, the cheaper the products must be! Our efforts to understand the placement of outlet malls actually leads us to think we’re getting better deals than we are, because we must be. Otherwise it doesn’t make sense for them to be where they are. And so the location of outlet malls becomes proof that they’re cheap. Why else would they be there? We have another powerful motivation to believe this. If you’ve driven an hour or more one-way to get great deals at the outlet mall, you are primed to believe you’re getting bargains because otherwise you just wasted a lot of time, effort, and gas for nothing. Once you get there, you’re psychologically motivated to believe your effort was worth it, and you do that by buying stuff and thinking the price is a steal. As a result of these two factors, research shows that people perceive merchandise found at out-of-the-way outlet malls as being more of a bargain than they do if they see similarly-priced items closer to home. We overestimate what the original value of the item must have been and focus on the difference between that hypothetical price and the outlet price, rather than on the objective price itself. And consumers tend to discount the cost of getting to the outlet, not including the cost of gas and their time into the price of the items they buy. So the placement of outlet malls isn’t just a simple reaction to real estate prices or an effort to not compete with the regular-priced store. The placement itself is an important element of marketing, signaling to consumers that wonderful bargains await those who are willing to accept a little inconvenience. When you combine this with the meaningless discount, you have a powerful marketing tool, a way to convince consumers they are saving more money, or getting higher-quality products, than they actually are. 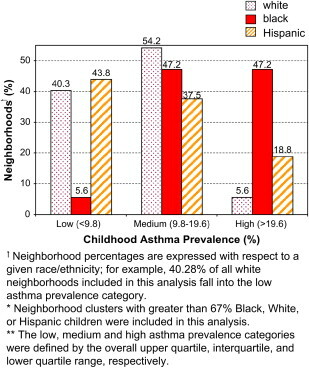 It’s hard to know exactly what causes higher rates of asthma in Black and Hispanic neighborhoods than in White ones. It could be differences in access to medical care. The researchers found that asthma rates are also higher in neighborhoods that have high rates of violence. Perhaps stress from living in neighborhoods with a lot of violence is leading to more asthma. The authors of the study suggest that parents might keep their children inside more to protect them from violence, leading to more exposure to second-hand smoke and other indoor pollutants (off-gassing from certain types of paints or construction materials, for instance). Other studies suggest that poorer neighborhoods have worse outdoor environmental conditions, particularly exposure to industries that release toxic air pollutants or store toxic waste, which increase the risk of asthma. Having a parent with asthma increases the chances of having it as well, though the connection there is equally unsure–is there a genetic factor, or does it simply indicate that parents and children are likely to grow up in neighborhoods with similar conditions? Regardless, it’s clear that some communities — often those with the fewest resources to deal with it — are bearing the brunt of whatever conditions cause childhood asthma. Trigger warning for racist language and discussions of racial violence. After the storm had passed, while New Orleans was still in a state of crisis, residents of a predominantly white neighborhood that had escaped flooding, Algiers Point, took it upon themselves to violently patrol their streets. “It was great!” says one man interviewed below. “It was like pheasant season in South Dakota. If it moved, you shot it!” According to one witness testimony, they were looking for “anything coming up this street darker than a paper bag…” At least 11 black men were shot. This next video, sent in by reader Martha O., includes some of the footage above, but focuses much more on the experiences of several African American men who lived in the neighborhood and were shot or threatened by their White neighbors. The men talk about the panic and terror they felt during these incidents. Toward the end, Donnell Herrington watches footage of the White residents bragging about their exploits. It’s brutal to watch this man listening to the militia members talk about shooting African Americans casually and with obvious enthusiasm and pride. The video is part of an in-depth story about the Algiers Point shootings featured in The Nation in 2008. And as Martha explained, it’s a harrowing example of how swiftly organized violent racism can emerge when external constraints are even briefly weakened. Originally posted in 2012. Watch the full documentary here.